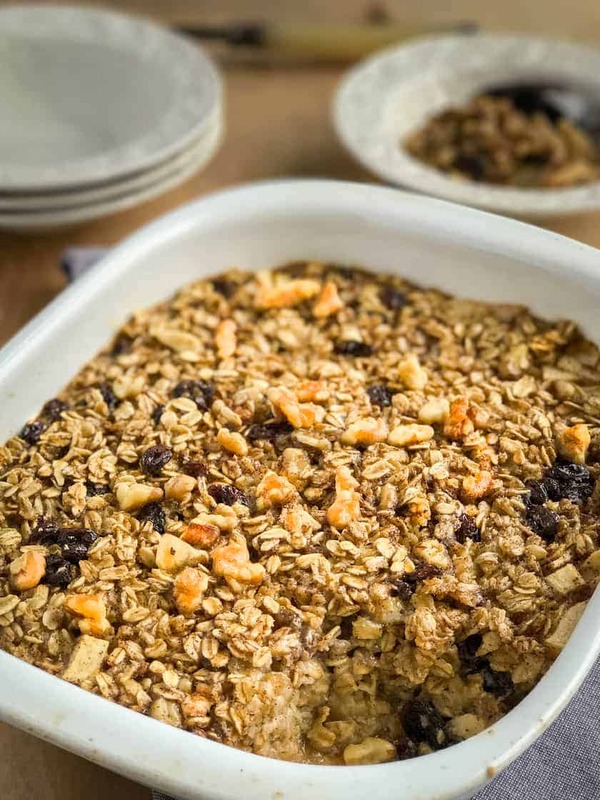 Amish Baked Oatmeal with Apples, a simple bread pudding type breakfast casserole, perfect to make ahead and serve on busy mornings. Or warm, straight from the oven on lazy weekends. 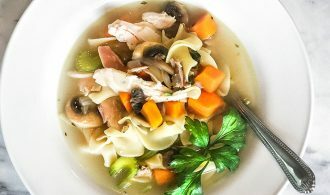 Truly, it’s comfort food at its finest. My parents have been visiting this week. And have fallen in love with this dish. 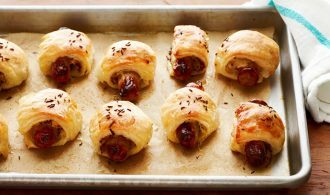 I make it at night, and we might nibble a bit while it’s warm, but then it keeps in the refrigerator and is perhaps even more delicious cold the next morning. 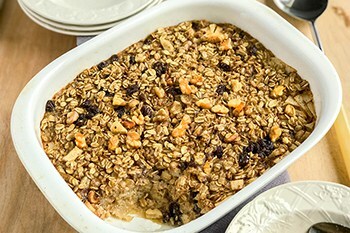 While there are many Amish style baked oatmeal recipes, this is the one I come back to time and time again. 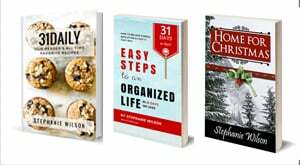 Preheat the oven to 325° and coat an 8 or 9-inch baking pan with non-stick cooking spray. 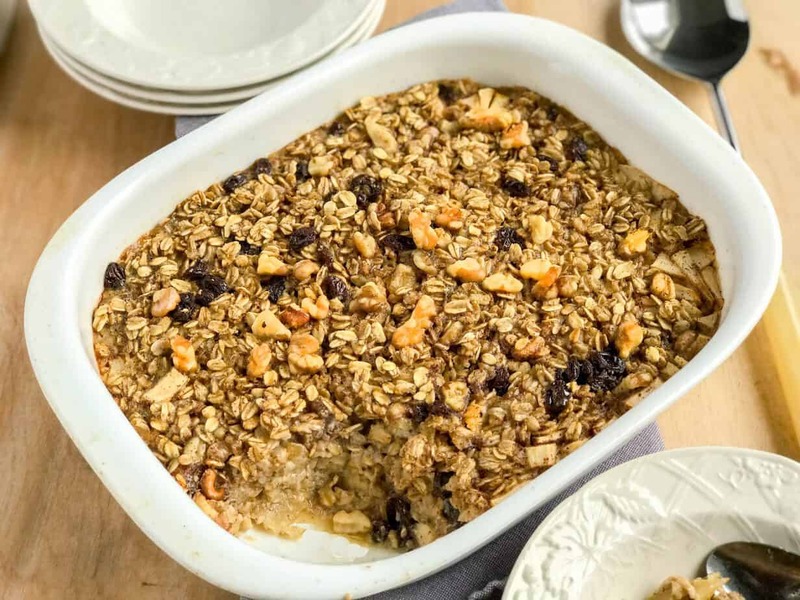 In a medium bowl, combine oats, brown sugar, nuts, raisins, baking powder, cinnamon, and salt. With a small bowl, whisk together eggs, milk, vanilla, and melted butter. Add it to the oats mixture and combine. Spoon apples evenly on the bottom of the prepared baking dish. Then pour the oatmeal mixture over the top, spreading evenly. If desired, sprinkle a few more chopped nuts on the top. Bake in a 325° oven for 40-45 minutes, or until the oats are golden brown and set. I just love this and make it often. I’ve passed it around to my family and friends.